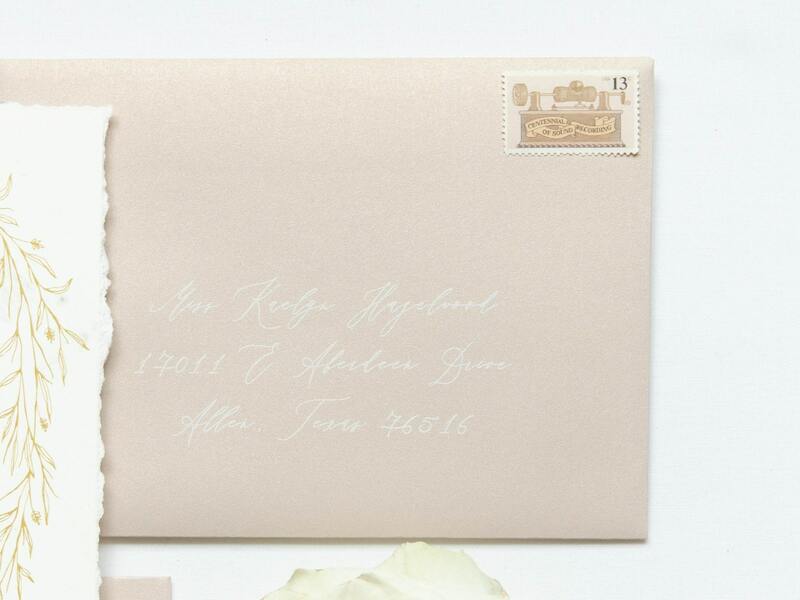 Fine Art Calligraphy in White Ink on Blush Pink, ENVELOPES INCLUDED, Modern Guest Address Envelope Printing, Other Colors Available! 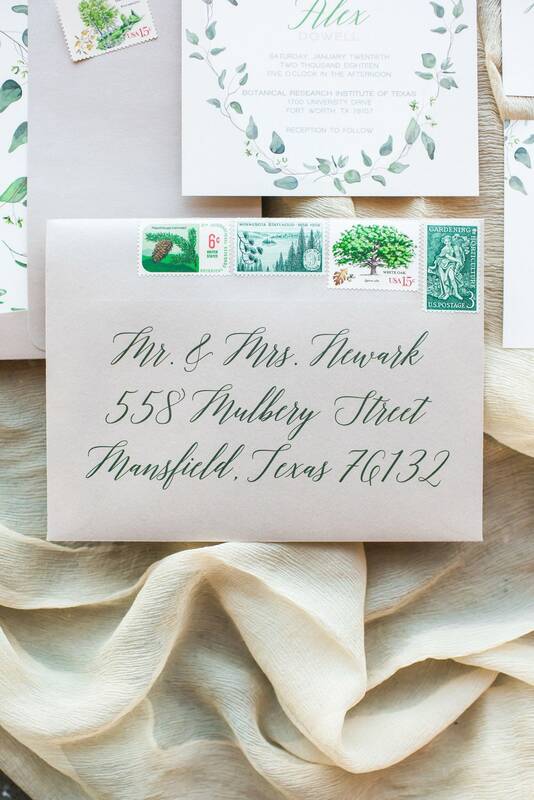 PLEASE NOTE: The minimum order for return address only OR guest address only is 50 envelopes. The minimum order for both return and guest address printing is 50. 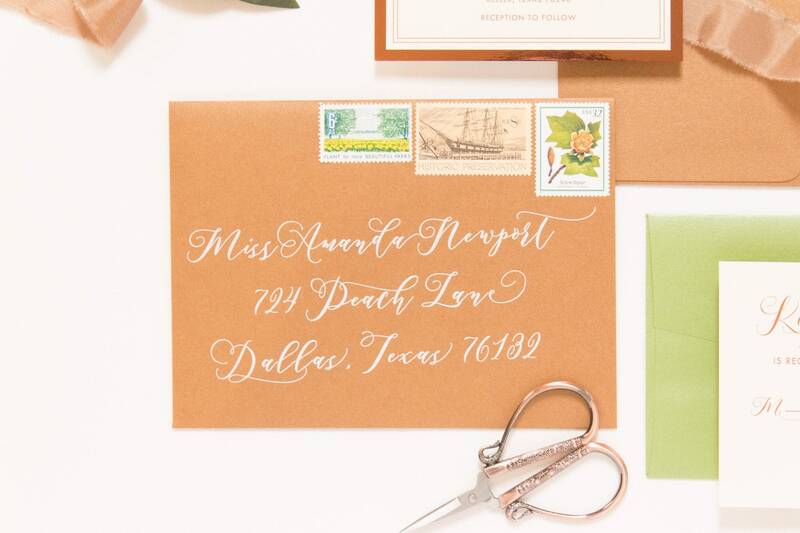 This is applicable for any and all sizes of envelopes. 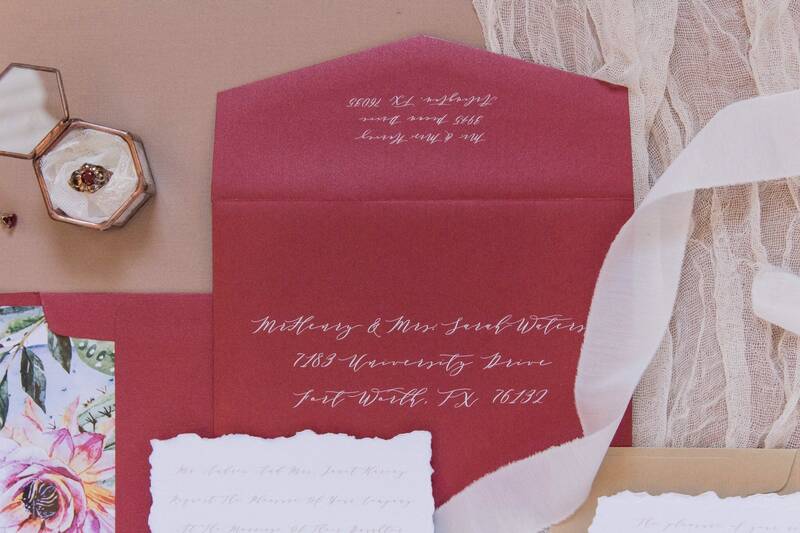 This listing INCLUDES the envelopes that the printing will be on. I cannot print on your envelopes. 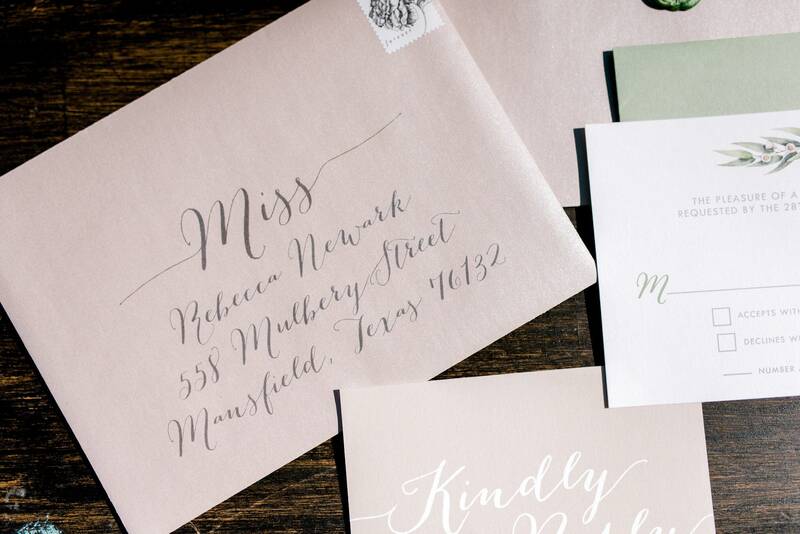 Choose your envelope color at time of purchase. I have white, ivory, black, grey/silver, gold, red, orange, yellow, green, blue, purple and pink in several shades in matte and metallic papers. After your order is placed I will send photos of the options in your chosen color wheel. You MUST have access to Excel and be able to set up your guest list in excel for me to be able to complete your order. I will send instructions on how the file has to be set up and saved after purchase. 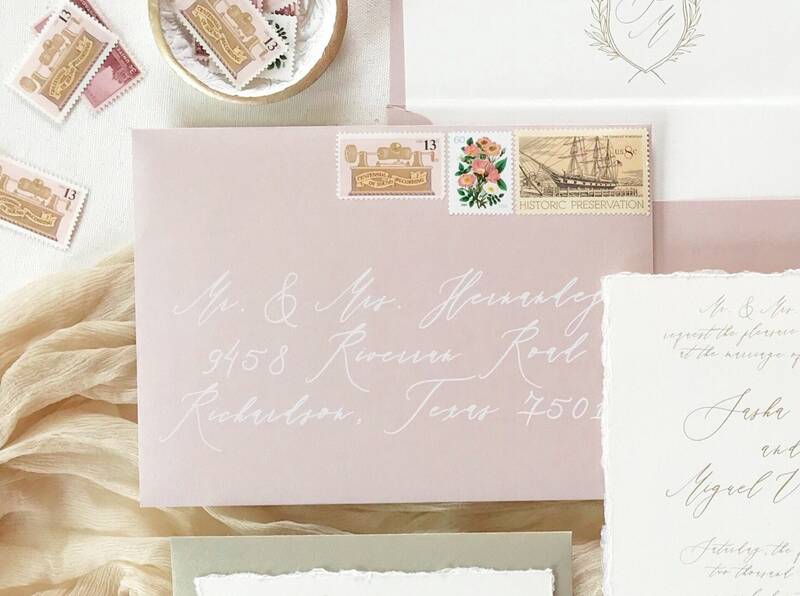 Printing can be done in black ink, white ink (additional charge) or any color of the rainbow (as long as it is dark enough to contrast with the envelope). 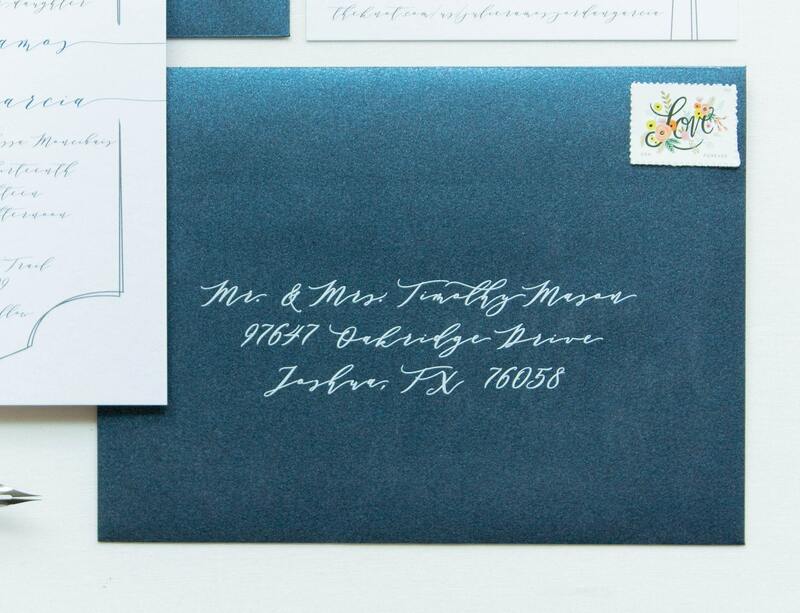 Same goes for white ink, but as long as the envelope is dark enough to contrast with the white ink. 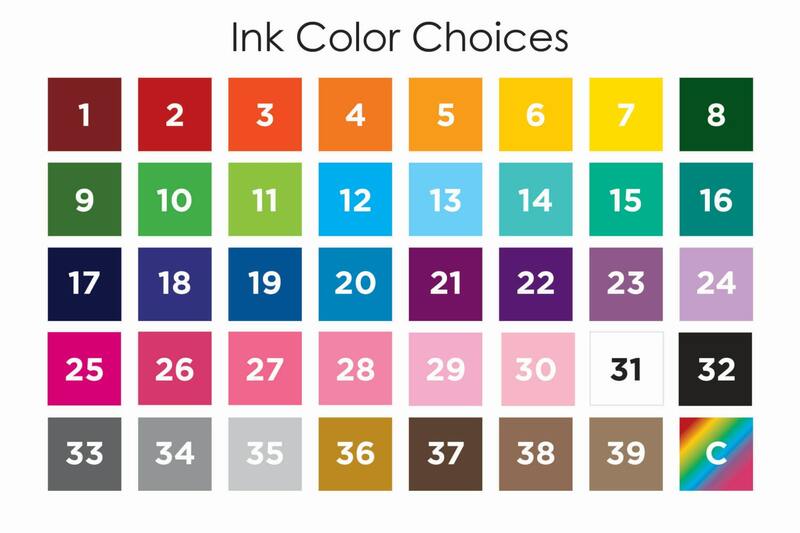 When placing your order, select an ink color (1-39) or let me know you would like a custom color. 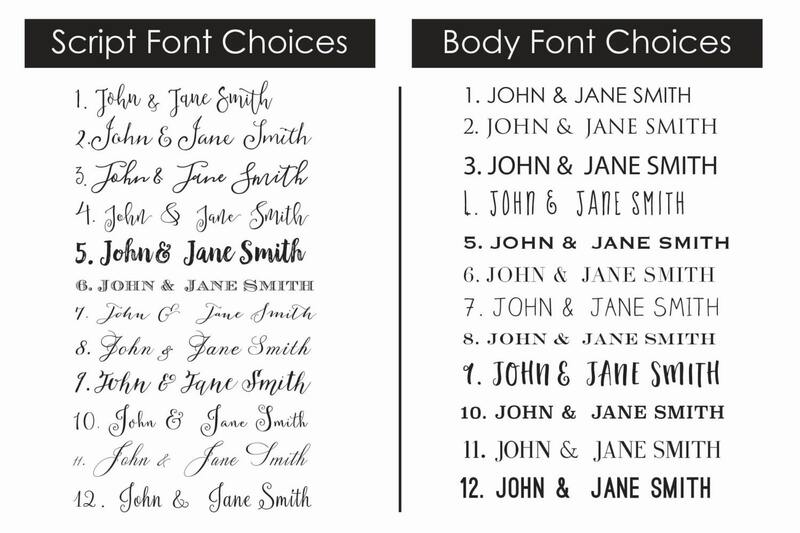 Also choose your script font and body font (1-12), or let me know that you would like custom font(s). 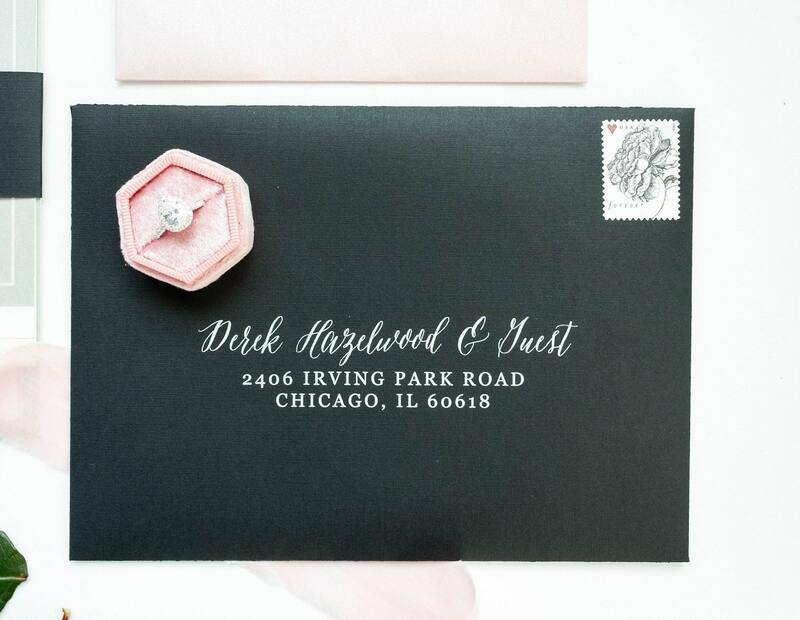 Lastly, let me know if you would like embellishments for the guest or return address. Custom design/embellishments is available.